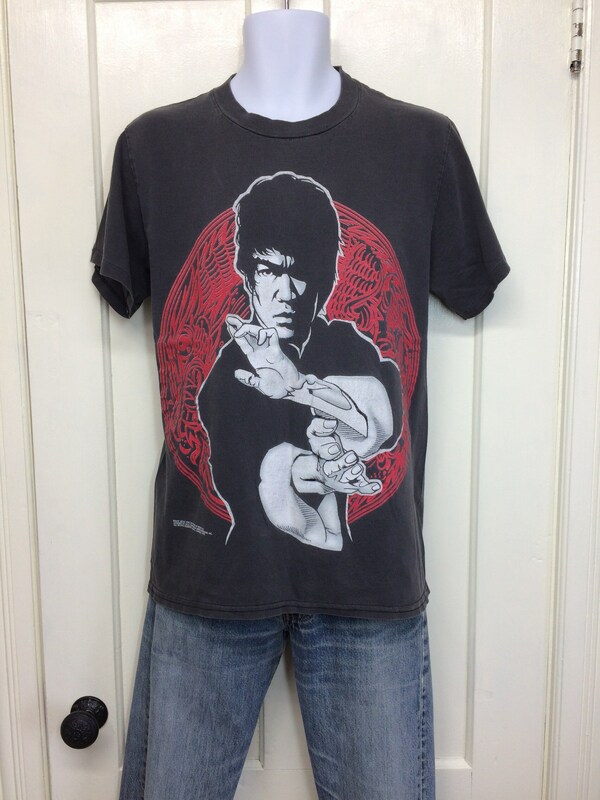 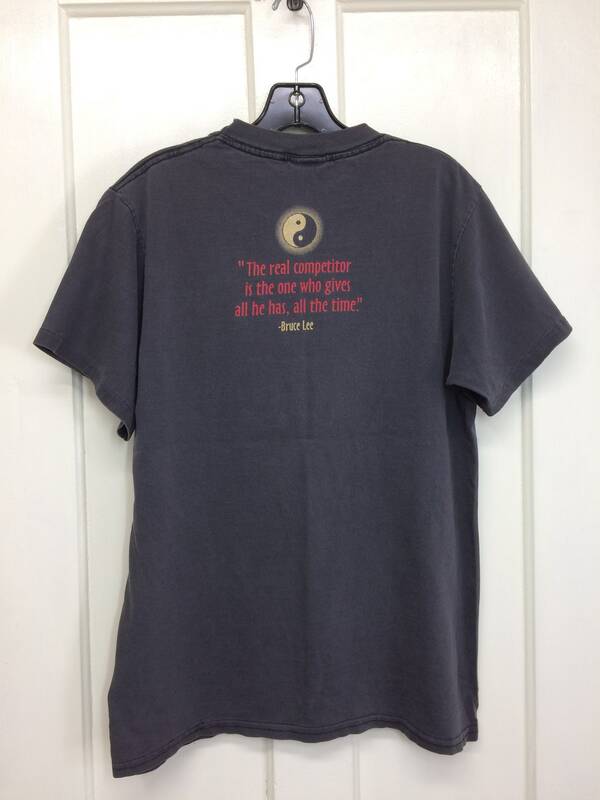 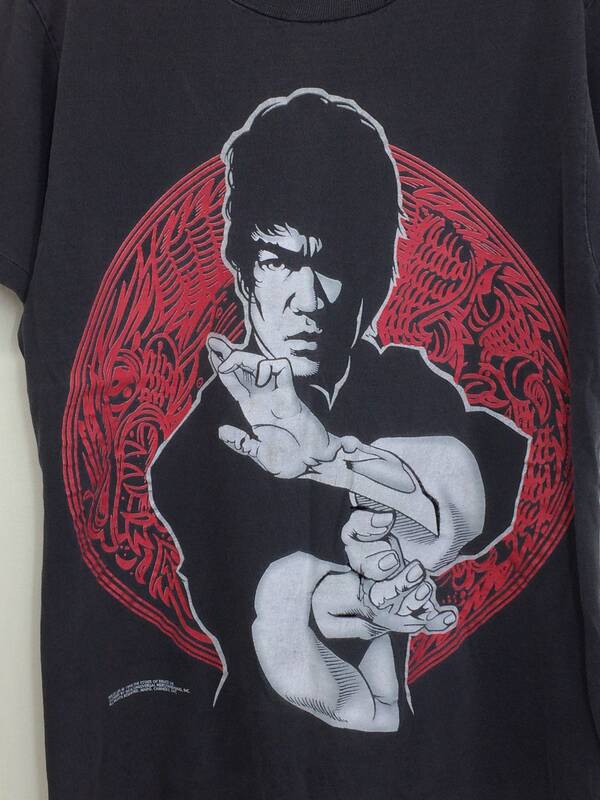 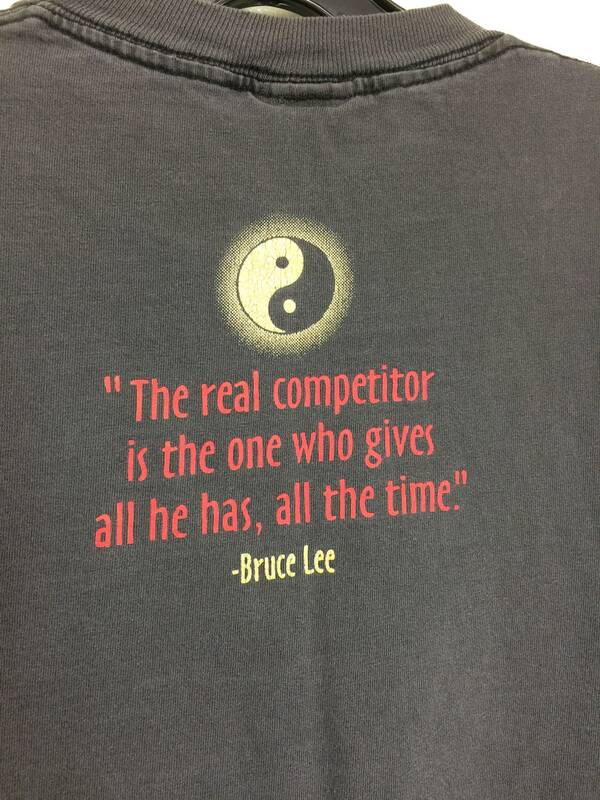 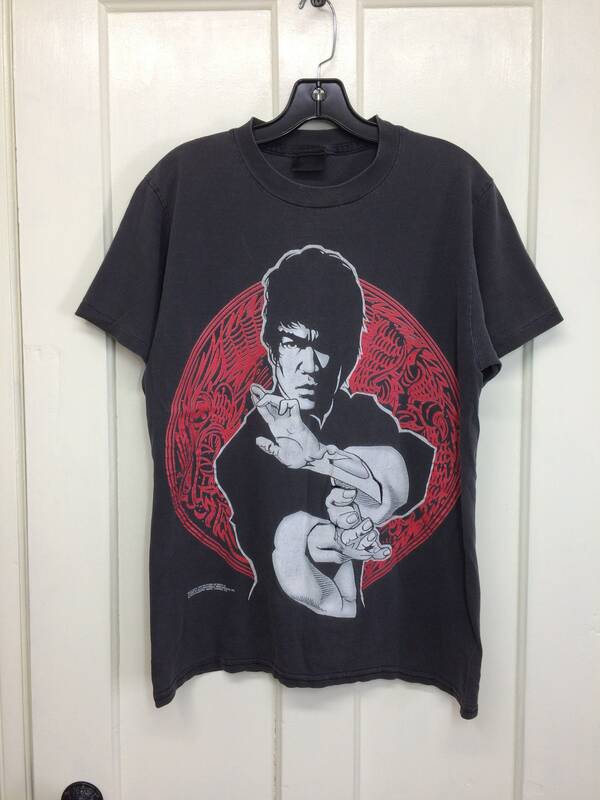 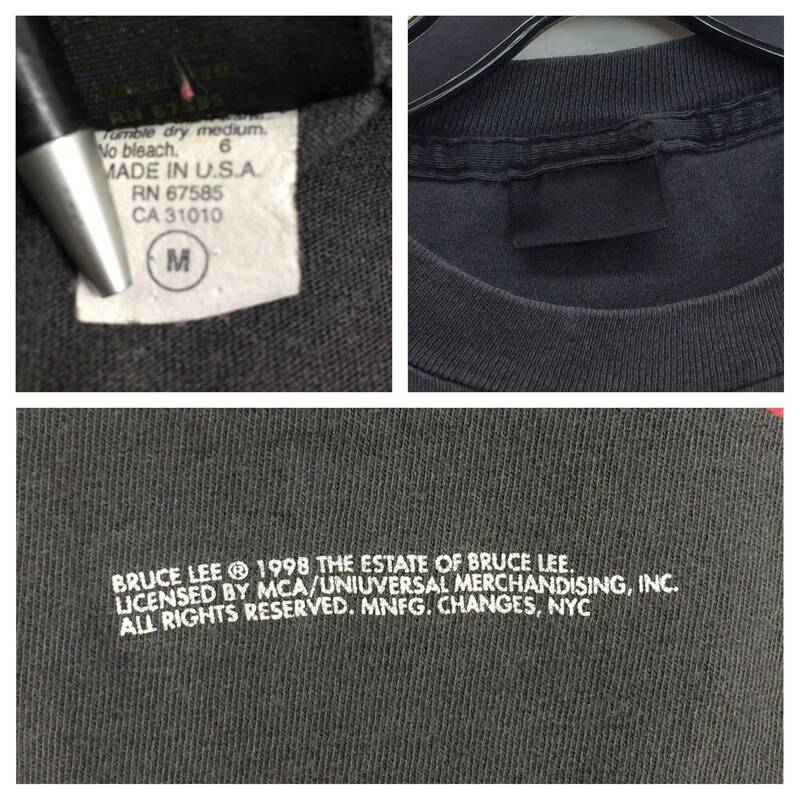 Here's a Bruce Lee t-shirt from the 1990's, dated 1998. 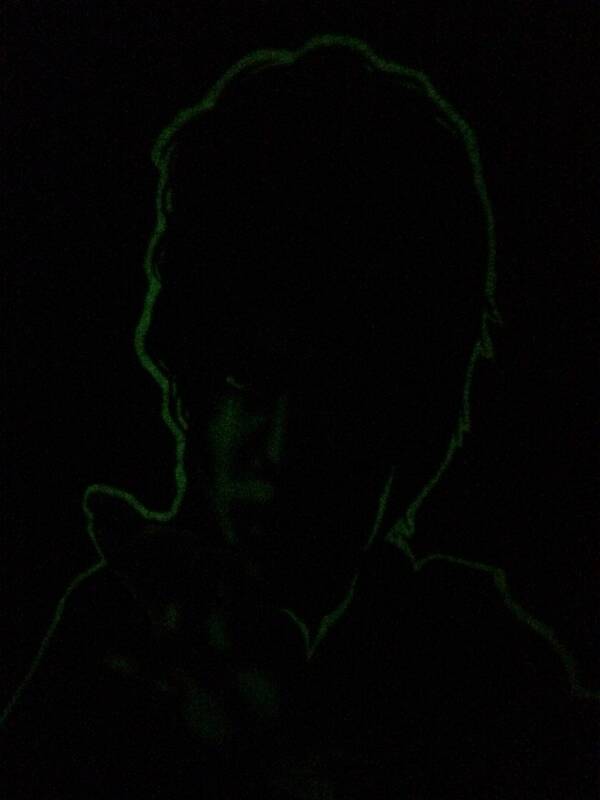 The white in the print glows in the dark. 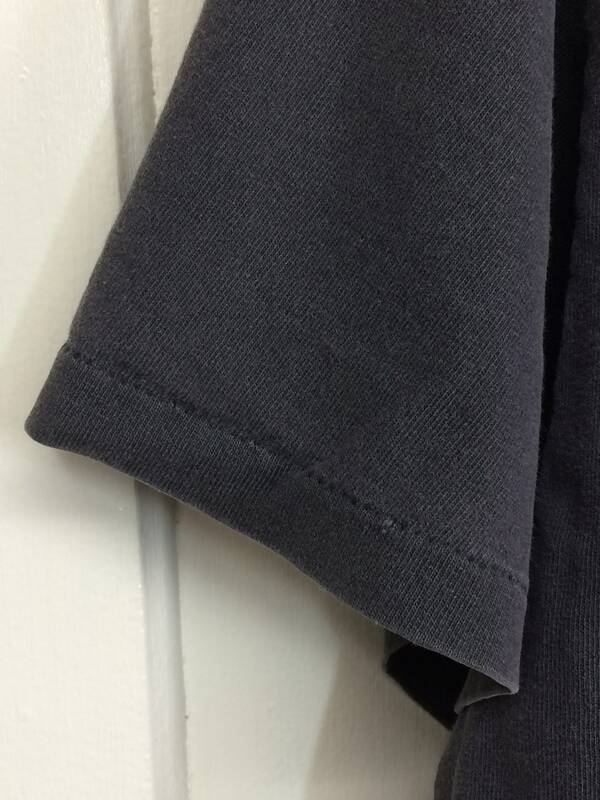 It's single stitch cotton and very faded. 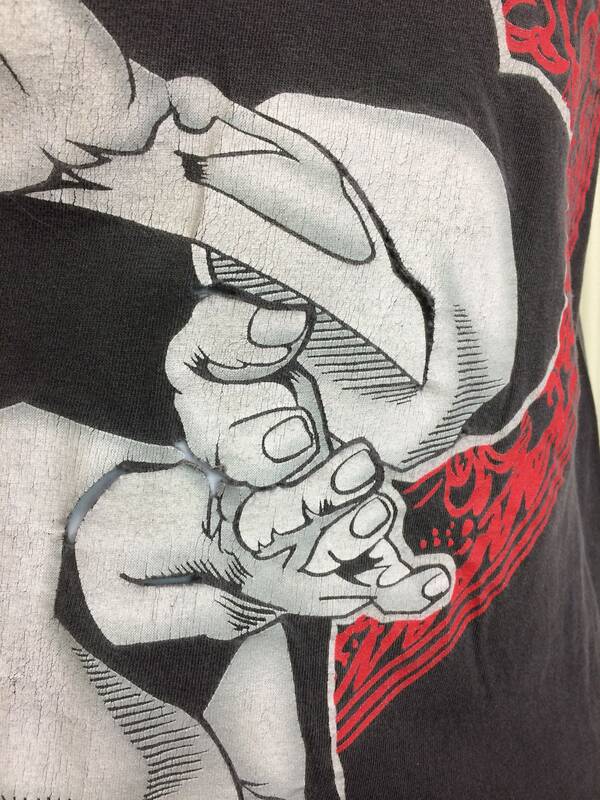 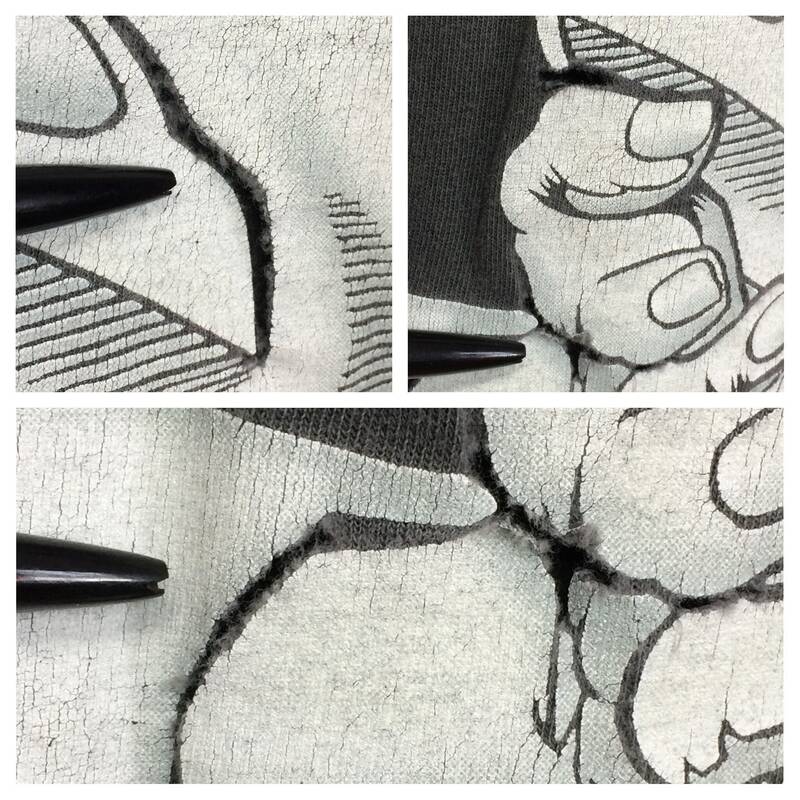 It's in distressed, destroyed condition, with large holes in the print by the lower hand, see photos.